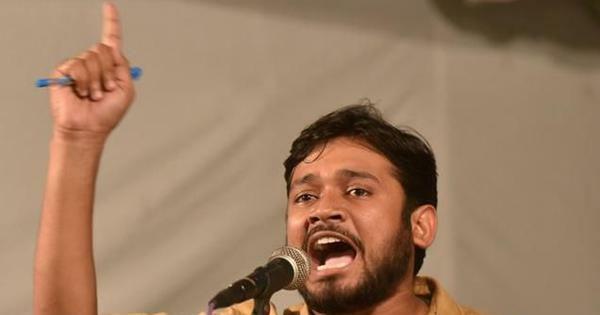 Lacking structure or ideology, the TMC has latched onto subaltern identities for support and given them an unprecedented amount of political exposure. A statue at a religious place might not seem like much but Ramkeli is a vital window into the ruling Trinamool Congress's way of functioning in Bengal. Chief Minister Mamata Banerjee is attacked for her identity politics, especially by the right wing for her so-called Muslim appeasement. In Ramkeli, there is also identity politics – but of a kind not much talked about. Bengal’s Vaishnavs form a large segment of the state’s population and are usually drawn from the lower castes. Courting them using their Vaishnav identify is a new phenomenon in Bengali politics. And Ramekli isn’t alone. Five years of Banerjee’s rule has seen the slow political emergence of low-caste subaltern identities, till now kept away from the high table of power by both the Congress and the Left. In this, the most visible – and also electorally most rewarding – support base have been the Matuas of south Bengal. The Matuas are a religious sect almost exclusively drawn from the Namasudras, Bengal’s largest Dalit caste (earlier called Chandals – a term widely regarded as derogatory now). Namasudras have led a long struggle against upper caste hegemony in Bengal and were one of the pioneers of Dalit politics in the subcontinent. Namasudra leaders such a Jogendranath Mondal allied with Bhimrao Ambedkar to reject the Congress, which was seen as a largely upper caste body. Partition, however, greatly affected the Namasudras, since they were mostly concentrated in East Bengal. To make things worse, the Congress and then the Left Front governments largely ignored the Namasudra refugees, who kept streaming in in large numbers right till the 1980s. While neglect by the Congress was almost expected given the antagonistic nature of Namasudra-Congress relations before 1947, what was surprising was to see the Communists sticking to the same template. In 1977, when the first Left Front government took power, it didn’t contain a single Dalit minister. When Kanti Biswas, a Namasudra from the CPI(M) raised a hue and cry about this, chief minister Jyoti Basu asked, “We know the Scheduled Castes are socially and economically backward, but what is the justification to include someone of them as a minister?” Later, when the Mandal Commission would question Basu about Bengal’s castes, he would reply that he knew only two: rich and poor. The Communist mono-doctrine of class and the fact that its leadership was almost completely savarna, or upper caste, made them blind to the lived reality of caste in Bengal. Unsurprisingly, there hasn’t been a single Dalit in the Communist Party of India (Marxist) politburo since its formation in 1964. In fact, so terrible was the plight of Namasudra refugees under Left rule that often they weren’t even allowed to settle in their native Bengal, and were pushed to the jungles of Dandakaranya in Chhattisgarh and even the Andaman and Nicobar Islands. Even worse, in 1979, the Left Front government conducted a mass killing of Namasudra refugees, infamously known as the Marichjhapi massacre. Fast-forward to 2011. Looking to overthrow the CPI(M)’s 34-year-long rule, Banerjee drastically changed the Namasudra power equation. She visited the home of Binapani Devi, the spiritual head of the Matua Mahasangha, and asked for her support. This direct call to a large Dalit caste was a game changer in Bengali politics and threw the Communists off guard. They had always relied on Namasudra support, but having the Matua identify at the high table of politics was something that the Communists – led by a staunchly savarna bhadralok vanguard – were unaccustomed to. Of course, Banerjee had her own interests at heart. The Communists had a strong cadre base and party structure. The Trinamool, a hodgepodge of local toughs and Congress renegades, wanted to piggyback on the Matua Mahasangh – an attractive prospect given that massive Namasudra migration from East Bengal has meant that something like a quarter of West Bengal’s Assembly constituencies now have significant numbers of Matuas. The gambit worked. Matua support is considered one of the key factors for Banerjee’s win in 2011. The contrast with the 1977 Left Front government, and Jyoti Basu’s attitude, was stark. This opened the floodgates. During the 2014 elections, Narendra Modi courted the Namasudras, promising them full Indian citizenship – an ironic pitch given that it was a 2003 law passed by the Atal Bihari Vajpayee-headed Bharatiya Janata Party government which had identified Bangladeshi refugees as "D", or doubtful voters. Before that, there were regular, if informal, channels for East Bengali immigrants to take Indian citizenship. In this election, unlike 2011, there is no consolidated Matua backing of Banerjee and many factions of the sect are even supporting the CPI(M). But the start made in 2011 cannot be undone, and Dalit identity is now a definite factor in West Bengal’s politics. Of course, while Mamata has astutely played the politics of Matua identity, what has really made news is her courting of Muslims. But there is a caste angle here too, albeit a more muted one vis-à-vis the Matuas. In 2011, Banerjee had courted the Furfura Sharif shrine in Hooghly, around 2 hours from Kolkata. The Sufi shrine is patronised by large numbers of low caste, rural Bengali Muslims. And while the Muslims have also voted for the CPI(M) in large numbers, like the Namasudras, they were rarely invited to the high table of politics, which remained dominated by upper castes. The Trinamool’s win changed that somewhat. For one, Muslims legislators in the West Bengal Assembly went up by nearly 30% in 2011 as compared to 2006. In 2011, 20% of TMC legislators were Muslims – a number which fell short of the state’s 27% Muslims but stands in impressive contrast to other states. 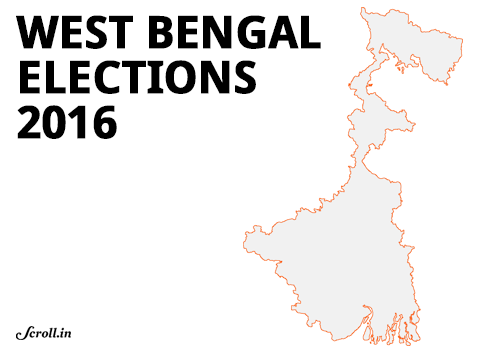 For the 2016 elections, the TMC has nominated 57 Muslim candidates – a fifth of its total nominees. Many urban Indians fail to see the link between identity and development, thinking the latter to be some sort of manna that descends from the heavens. However, examples like the Dravidian movement in Tamil Nadu or the Bahujan Samaj Party in Uttar Pradesh have shown that development and identity are often coupled together. Of course, when one lets loose the genie of identity, it is not only the subalterns who strike out. In June 2015, the Trinamool Congress paid floral tributes to Syama Prasad Mookerjee, the founder of the Bharatiya Jana Sangh, which later evolved into the Bharatiya Janata Party. While any religious mobilisation of upper caste Hindus hasn’t happened as yet in West Bengal, a prising open of the Pandora’s box of identity also makes upper caste Hindutva politics a possibility sometime in the future. One reason upper caste identity politics hasn’t caught on is that there’s simply no need. In spite of the early shoots of subaltern identities, West Bengal is still solidly dominated by bhadralok upper castes. Indeed, it is the only state in India in recent memory where two Brahmins – Mamata Banerjee and Surjya Kant Mishra – are fighting for the chief minister’s seat. In fact, since 1947, every West Bengal chief minister has been from the upper castes.